Wellington Financial Group is a Texas-based financial services company providing its products and services through three different divisions. 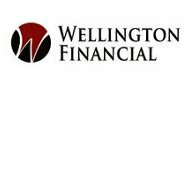 Despite the fact that there are dozens of small agencies and producers using the Wellington name, we chose Wellington Financial Group because they are the largest company with the strongest reputation. They should not be confused with a Florida company by the name of AdCahb; this company uses the name “Wellington Health Insurance” in its web address even though it’s completely unrelated to the business name. This company appears to be simply a loose affiliation of local agencies providing a variety of insurance products and securities. We are ready to help you find affordable health insurance rates online — just enter your zip code below to get started. This division is exactly what one would expect from a commercial financial services firm of this nature. Wellington Insurance is the company’s division dealing in property insurance for residential customers in the state of Texas. As for Frontier General, this division acts as a managing general agent for independent agents in the Lone Star State. As a managing general agent Frontier General provides independent agents with a suite of property insurance products, they can then turn around and offer their clients. It’s important to note that Frontier General is now considered among the leaders for quality residential property insurance in Texas. With Wellington Financial Group’s reputation within the insurance industry, it’s unfortunate that they do not provide health insurance products. This could be for a variety of reasons, not the least of which is the fact that health insurance is a very risky business if a company does not squarely focus on it alone. There are some companies that do provide supplemental health insurance policies and Medicare supplements, but Wellington Group is not one of them. If you were reading this review expecting information on health insurance, we would encourage you to check out some of our other reviews when you finish with this one. Although Wellington Group limits its activity primarily to Texas, the company still has an extensive network of local agents in that state. As previously discussed regarding Frontier General, these agents are able to compare multiple policies between several providers in order to determine the best policy for their customer. The Frontier General website does not provide an agent locator tool, unlike some of their competitors but you may inquire about local, independent agents by contacting the company directly. On the other hand, agents who are part of the network can log in from the corporate web site’s agent link to gain access to all of Wellington Financial’s agent tools. Wellington Financial Group provides a career opportunities link at the top of its corporate website. Following this link takes interested candidates to a careers page with a brief description of what the company offers. Following that description is a list of current job openings candidates can browse at their convenience. Each job description includes job title, location, candidate requirements, and so on. Interested candidates apply by either contacting the company’s human resources department using the information provided or by sending a resume via e-mail. The company’s list of current openings is empty for the time being but the page encourages candidates to check back often, as new opportunities do arise. Although Wellington Financial Group is active in a variety of different areas, only the direct insurance portion of the business is required to file specific insurance paperwork every fiscal year. Therefore, while we cannot comment on the overall health of the company, we can report numbers from the 2010 reporting of Wellington Insurance Company. Those records show that the insurance division reported a policy surplus of just over $12.4 million, working capital of $1 million, and total assets of $32 million. Enter your zip code below in order to gain access to online health insurance rates from providers in your area.